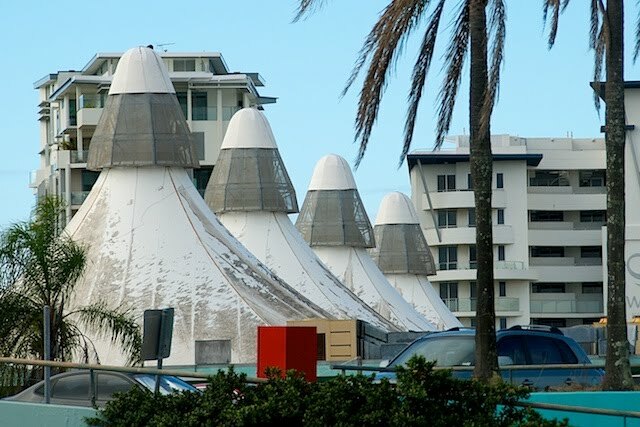 Those wacky alien structures are the roof of one of Maroochydores oldest shopping centres. Oldest and least successful it has to be said, christened "The Big Top" and appropriately themed under the tent structures, it has bred successions of commercial failures, and has been slated for redevelopment for at least the last decade. Reminds me of badminton balls.